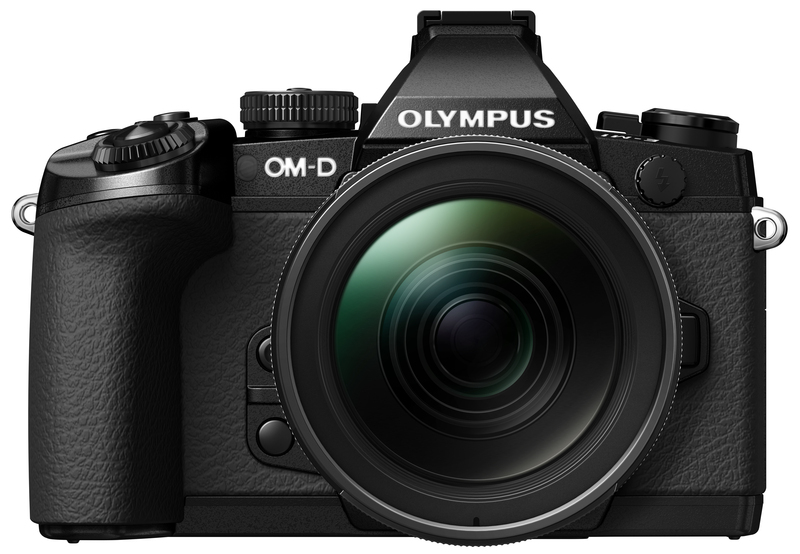 The Olympus OM-D E-M1 surpasses everything that we have seen so far from an ILC. Providing amazing performance and image quality that rivals a lower level pro mode dSLR, this much smaller camera is ready to go anywhere and perform in all situations. Read more in our Full Conclusion. 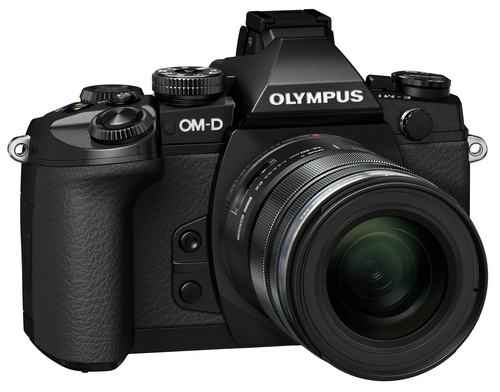 Olympus is pushing the limits with its new ILC (Interchangeable Lens Camera), the OM-D E-M1. This compact camera has been designed to provide professional quality features, performance and image quality without the size and price tag that is associated with a professional camera. Featuring the Micro 4/3 mount system, the same system found on the E-M5 and Digital PEN series mirrorless cameras, this camera will work with any of your other micro 4/3 from Olympus or Panasonic; as well as 4/3 lenses with an optional adapter. Giving the E-M1 the ability to work as a professional camera are a slew of new and improved components crammed into a light, yet strong Magnesium Alloy body. Starting with the new 16-Megapixel Live MOS imaging sensor with built-in phase detection provide excellent quality and an incredibly fast and accurate dual AF system, so you never miss a shot. The camera was built to go anywhere and survive situations that most other dSLR and ILCs cannot. Much like their "Tough" line, the camera body, is dust and splash proof as well as freeze proof in temperatures as low as low as -10°C (14°F). Olympus even had some m43 lenses that share these specifications. This allows you to wield the camera confidently in some extreme situations, knowing that there is little to no risk of hurting the camera. Assisting the sensor with providing the outstanding image quality is the brand new TruePic VII processor. This sensor works to increase image quality, enhance camera performance and even controls the new 5-axis optical image stabilization system; which provides up to 4 stops of compensation. This sensor is able to differentiate between the type of lenses that you are using and even the aperture of the lens to provide the best image quality for each. It has better ISO performance and color reproduction than the TruePic VI, which leads to much better low-light performance that the E-M5. Viewing and composing your images can be accomplished with either the 3.0-inch, 1037k dot tilting touch LCD screen, or the new 2.36-million dot eye-level electronic view finder (EVF). Both options rival what you will find on a professional dSLR camera, giving you as much detail and clarity as possible. The new EVF also provides you with the full set of shooting details in the viewfinder, so you will never have to take the camera away from your face to see a setting. Olympus also included plenty of easy-to-use settings and features that have started to become standard on most other ILC's, like a plethora of creative shooting modes and built-in WiFi capabilities. The same set of "ART" shooting modes that have been found on the newer Olympus models are all included on the E-M1. Other features like automatic HDR and interval shooting, time lapse and full 1080p HD video also add to the camera's creative capabilities. The built-in WiFi allows the camera to instantly upload and share images as soon as they are captured to an Android or iOS smartphone or tablet, as well as giving remote control to one of the devices. This allows you to work the camera from anywhere as long as you are in its WiFi range. During an unveiling event hosted by Olympus in New York City yesterday, we were able to briefly get our hands on an OM-D E-M1 camera. While this was not enough time to really get a feel for it, we did play with it long enough to see that this is one extraordinary camera. It is small and lightweight, which is great for travel, but still has a very sturdy and comfortable feel. If you are not used to a complex camera, the body can be a little overwhelming at first, but we were amazed at the amount of control and customization that is possible. The majority of our time was spent in lower-light shooting situations where the camera performed admirably. The Dual AF system was lightning fast during all of our sample shooting. Color reproduction, ISO noise levels and noise reduction also performed as advertised. Please take a look at the bottom of the page for a few more views of the E-M1, and be sure to check out some of our sample images. The E-M1 is available for Pre-Order now with a MSRP of $1,399.99 for the body only. Olympus plans to start shipping these units in mid-October.